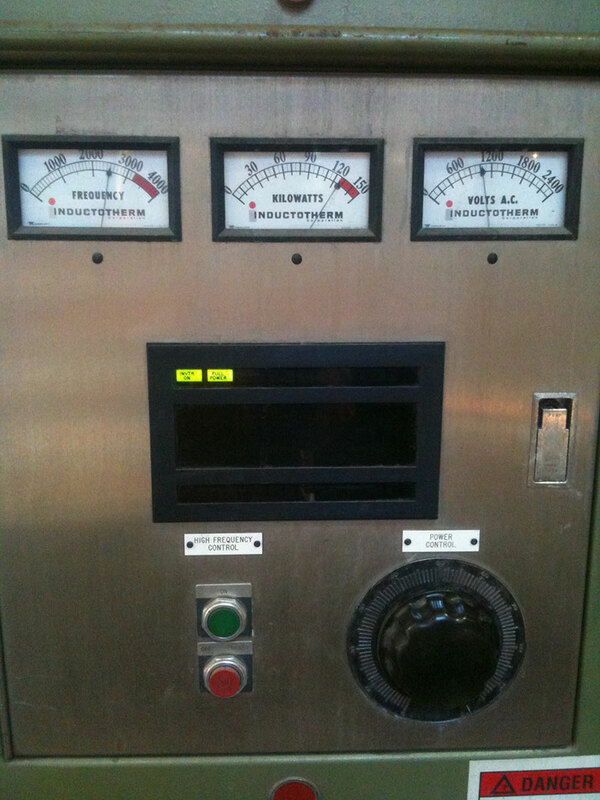 This Circa Furnace shown in the video is a second hand unit sourced from Auckland, It is a 125KVA unit from Inductotherm. 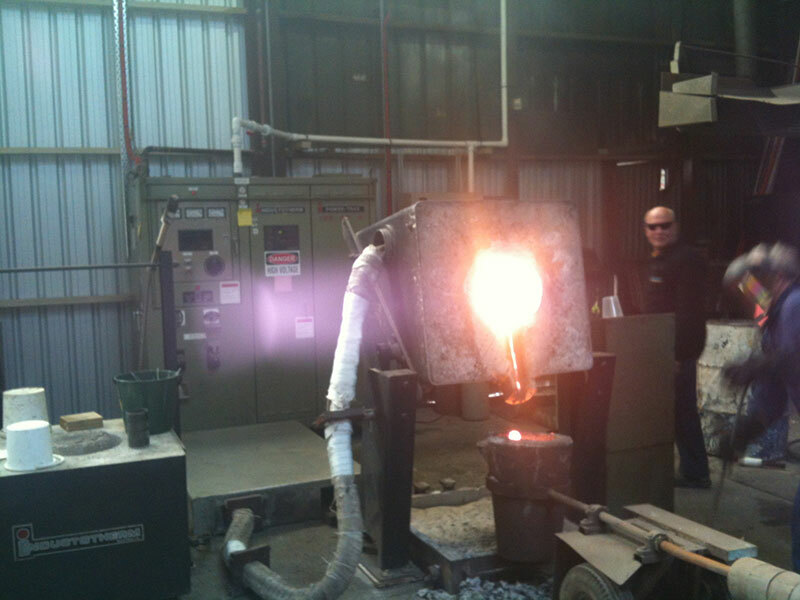 This furnace is used for melting steel via high frequency induction wave forms. 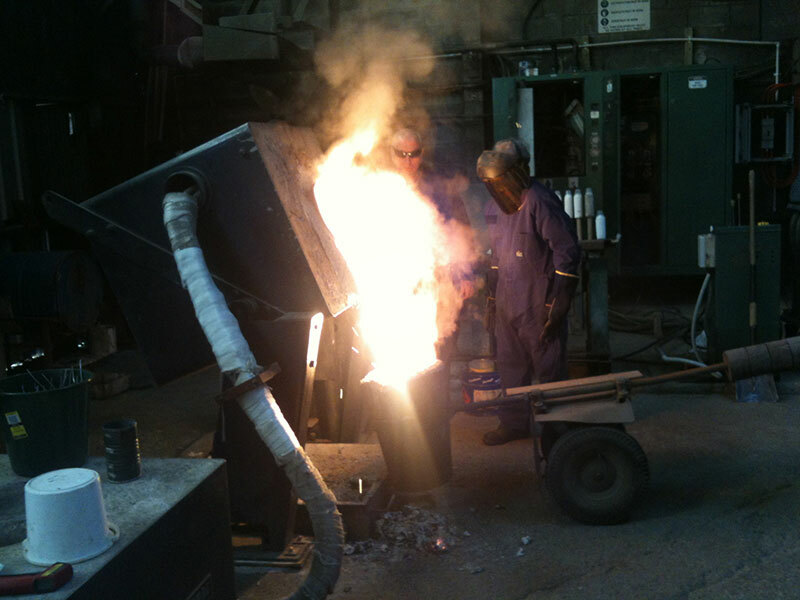 This furnace can melt 200kg steel from stone cold to liquid metal in 60 minutes. A cooling tower is installed to run cooled water through the furnace control unit and melting pot to keep the pot from melting. Henwood Electrical Ltd wired in the main supply and cable support systems. Rebuilt and modified the cooling tower to make it totally automated, installed fail safe cooling solenoid and commissioned the unit – all to a very tight time frame.